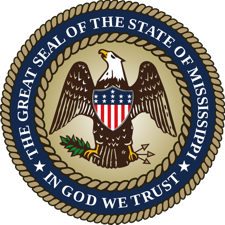 At the request of Knife Rights, Mississippi Representative Gary Staples has introduced HB 950 to remove “Bowie knife, dirk knife, butcher knife and switchblade knife” from the deadly weapons statutes in Mississippi. It is time for Mississippi to join the majority of other Southern states and allow their residents to carry the knife of their choice. Knife Rights will let you know when it is appropriate to engage your legislators to support SB 950. Knife Rights is America’s grassroots knife owners’ organization; Rewriting Knife Law in America™ and forging a Sharper Future for all Americans™. Knife Rights efforts have resulted in 29 pro-knife bills enacted in 21 states since 2010. Knife Rights is also engaged in a Federal civil rights lawsuit against New York City for its unconstitutional prosecution of over 70,000 pocket knife owners. That lawsuit is now on Petition for Cert to the U.S. Supreme Court.